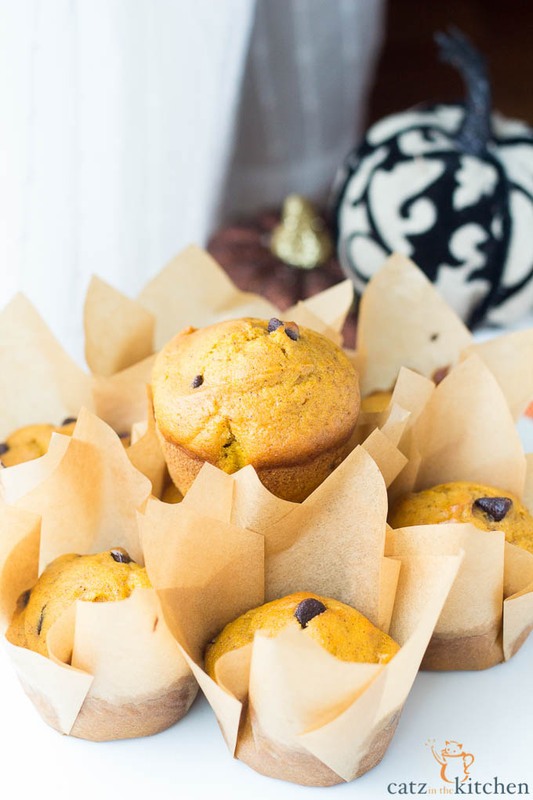 You know that pumpkin-flavored everything is coming (resistance is futile), so just jump right in with these easy, delicious pumpkin chocolate chip muffins! So…here we are, the second week of September, and I’m sharing my first pumpkin recipe with you! Are you excited? Are you pumped? I am! Do you know how impatiently I’ve been waiting to start whipping up pumpkin goodies? I would have started my pumpkin baking in August. You know, to get an early start on fall baking. But, I held off for my husband. He loves summer with all of his heart and though he knows how much I love fall, I’ve been trying to be careful about how much I push fall on him. Just because I’m patiently waiting for the first day of fall doesn’t mean I haven’t been doing any fall shopping. Christian and Eden already have their Halloween costumes (which for them to have those before October is a first for us) and Grace is gathering pieces for her costume. I’ve also picked up a few decorative pumpkins for the house…which of course I have not displayed yet. Because I’m waiting. Patiently. They are just waiting in the spare bedroom for me to decorate with them. You guys…you have no idea how hard this is for me. To wait! It’s like waiting for Thanksgiving to be over so I can get rid of all the fall stuff and put up my Christmas decor. Speaking of Christmas…you’re probably going to hate me, but there are only like 14 Sunday’s left before Christmas. Just thought you should know that. Okay, but since it’s not Christmas yet, let’s talk about these muffins. They are so simple to make. I’ve been making them for years, as in, since 2010, which makes it amazing to me that I haven’t yet blogged them! Trust me, I looked back through all of the archives and there isn’t one pumpkin chocolate chip muffin in there. That’s just plain out ccrrraaazzzy! We love these muffins for breakfast. 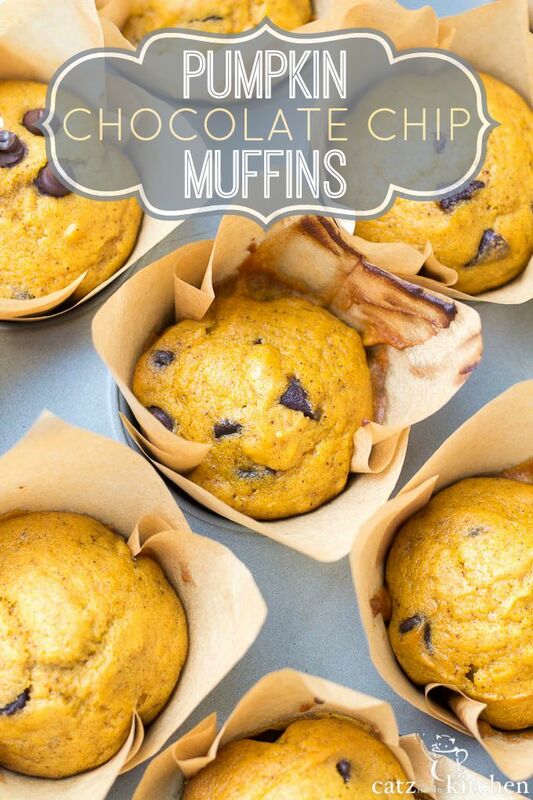 We love these muffins for snacks! We love these muffins for dessert. And of course we love these muffins for anytime of the day! 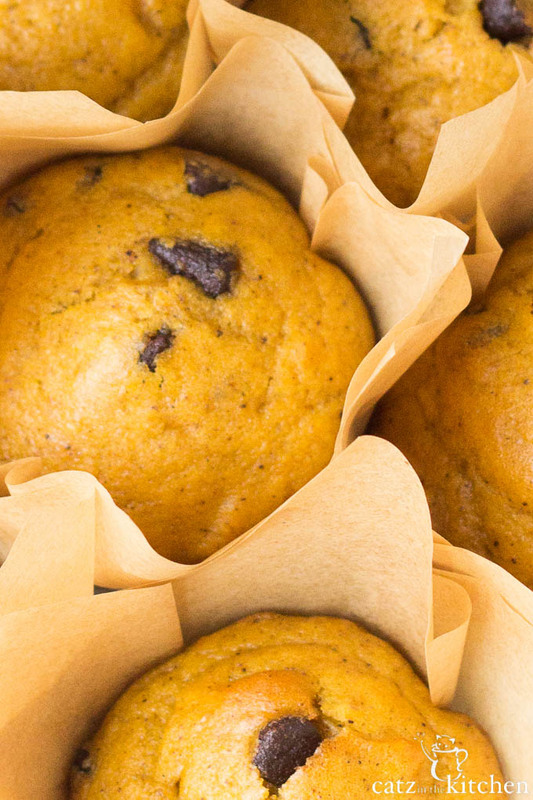 They are a perfectly orange, chocolatey pick me up that smells so good baking! 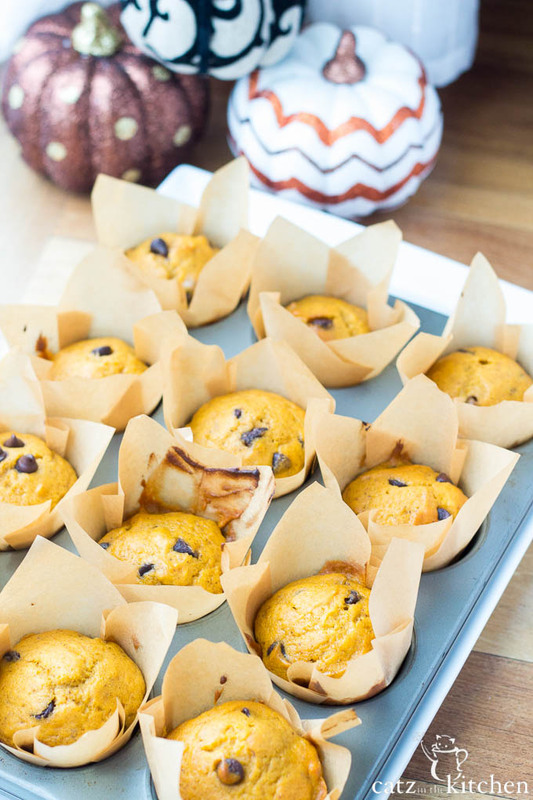 If you aren’t quite ready for fall, these muffins will help ease you into the season! 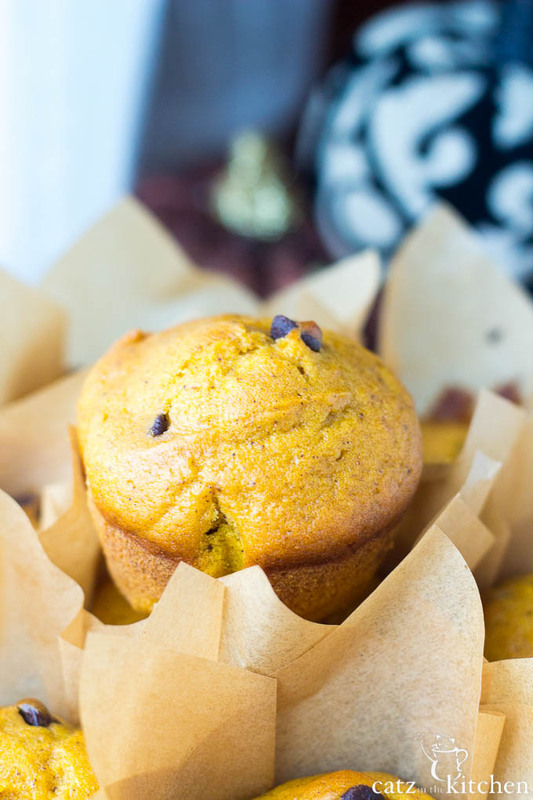 You know that pumpkin-flavored everything is coming (resistance is futile), so why not just jump right in with these easy, delicious pumpkin chocolate chip muffins? Pre-heat oven to 400 degrees. Grease and flour muffin pan or use paper liners . Beat together sugar, oil, and eggs. Add pumpkin and water. In a separate bowl, mix together the flour, baking soda, baking powder, spice, and salt. Add half of the bowl to the wet mixture, mix and then add the remaining dry mixture. Stir in chocolate chips. Fill muffins cups 2/3 full, about 3 tbsp with batter. Bake in preheated oven for 20-25 minutes. Allow to cool for 5 minutes before removing to a wire rack. I am so ready for all things fall right now. You are better than me to wait. I already pulled a few decorations down and baked a few treats with the orange veggie. I'm loving how fluffy and delicious these muffins look...I'm definitely going to need a big batch of these while I get out more decorations.